Syllabus of the Online Course (Subject): Frontier Markets in Africa (Nigeria, Kenya, Angola, Ghana, Ethiopia). 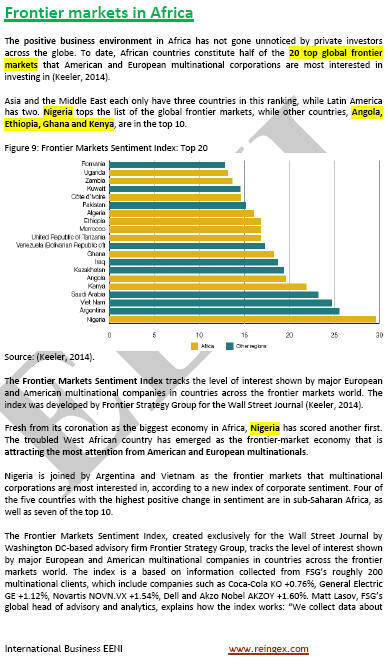 Nigeria is the first world's frontier market. Who is investing in Africa? Description of the Online Course: Frontier Markets in Africa. Africa has twenty global frontier markets (50% of total).